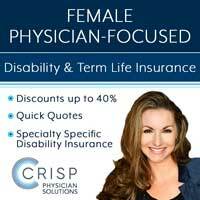 I’m a physician, a fee only planner, and someone with extensive experience with real estate. I’ve owned residential rental real estate, commercial real estate, provided funding for construction and made extensive loans on existing properties. I would never advise one of my clients to invest in the funds described in this article. The potential for fraud and misuse of funds is high. The quality of management, judgement, etc is uncertain. The extent of leverage and what happens in an economic downturn is completely not disclosed. I’d venture to guess that one moderage drop in real estate prices wipes out most of these “ventures’. If you want to invest in real estate, it should either be in a large publicy traded REIT fund like the Vanguard fund, or something that you do personally with advisors and can keep a close eye on. Funds are an easy way though and are doing ok. But they are just “ok” in my book. Also remains to be seen how they really do in a bear market. Most are after 2010. You’re coming at this backwards. 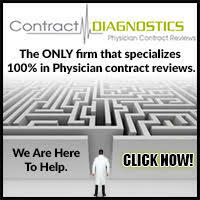 Start with the assumption that the doctor does not have any particular skill or interest in buying, managing, improving, or selling properties. So her options are 1. skip real estate, 2. buy a REIT index fund, 3. Use an online crowdfunder and spread her bets widely, 4. 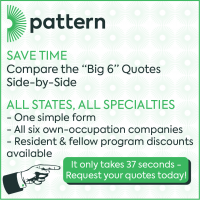 Use a direct syndicator and have a fairly concentrated portfolio, or 5. Use a private fund. Now which one do you recommend? 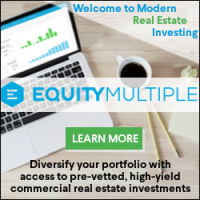 Simple-either invest in a diversified public real estate fund, own your own office if that is possible, or invest with a fiduciary advisor that understands real estate. Otherwise stay away-too much fraud and sloppy work out there. 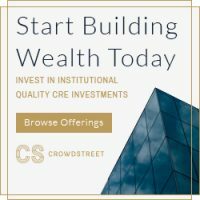 That sounds awesome to have an advisor that can really get into the nitty gritty of real estate investments including individual syndications, funds etc. However, my experience has been that that sort of advisor is exceedingly rare. The vast majority are mutual fund only. There is only so much value that can be added putting together a handful of index funds and rebalancing them once a year. The problem with saying “don’t invest in any sort of private real estate” is that there are lots of people out there having a lot of success doing so. Yes, there are additional risks. Yes, they are illiquid. 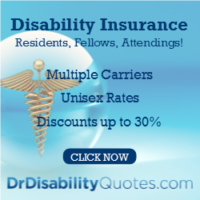 The question is whether the additional compensation is sufficient for that risk and illiquidity. I am more than willing to give up some of my liquidity if I am paid adequately for it. I agree you should only invest in investments you believe are likely to provide a positive return appropriate for the amount of risk you take. Jim does as good a job as anyone at disclosing his conflicts of interest, and I believe he’s been very forthcoming with this RE investment opportunity and others. 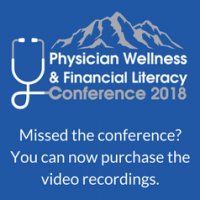 It makes sense to me that a fee-only, financial advisor charging AUM fees (however reasonable — Dr. Podnos’ fees are well below the industry standard) does have a conflict of interest. If a client invests $100,000 in a venture such as this, I would guess that’s $100,000 considered not under his firm’s management, and the loss of $1,000 per year on a 1% AUM fee. The same potential conflict gives the AUM fee advisor an incentive to have clients keep a mortgage, take Social Security early, tighten the purse strings, avoid charitable giving… anything that keeps the assets under management as large as possible. I’m not saying advisors will act on these incentives, but they do exist. Thanks for the comment. One thing I’d remind the readers of is that most planners drop their fees as AUM increases. For example, all AUM fees over 2M in our firm are billed at 0.25%. That’s below Vanguard. 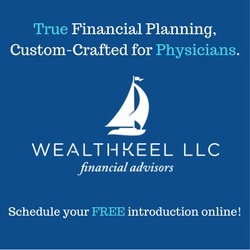 The point being that for many of our clients (most of our older physicians), the “incentive” to keep AUM is fairly low-and if you have a Fiduciary planner, it should not be an issue at all. One of the great values of a Fiduciary advisor is to avoid making large financial mistakes. I’ll firmly stand by my opinion that crowdfunded and “private” real estate deals are usually a big mistake to avoid. 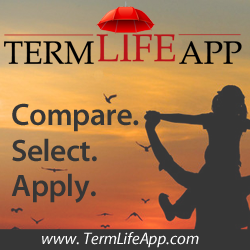 Just like with whole life insurance, it may be appropriate for under 1% of the population, but is otherwise an error. Your drop is remarkable large, and far larger than that of most advisors. 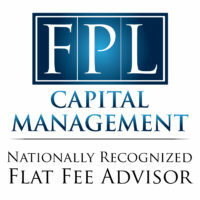 That said, for someone with $2M+, your fees are higher than the vast majority of those who charge flat/hourly rate fees. 0.25% sounds great, until one realizes its $15K+ 0.25% of everything above $2M. The best deal seems to be an AUM advisor (if they’ll take you with low assets) for the first 5 years or so and then switch to a flat fee advisor as your assets grow. As far as whether private real estate is a mistake to avoid or not, I’ll leave that for the readers to decide. It certainly could be. But lots of docs have had enough success with it that I am willing to put a small portion of my portfolio into it and have been for several years now. I have been happy with the results so far. As the cliche goes-only the one charging knows their true value. 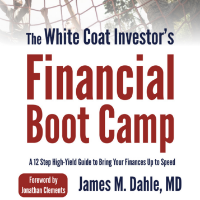 Good financial advice is no more a commodity than is good medical advice. I know that having a life in medicine lets me get both access to and discernment on just who I want myself, family and friends to see for medical care and advice. I respect your choice to invest in private real estate, but enjoy the opportunity to weigh in from my perspective as well. 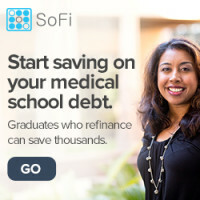 I know your fee setup and I appreciate the fact that you charge less than most AUM advisors. It’s not uncommon to see a flat 1% or 1.5% regardless of assets. In your case, the conflict of interest exists, it’s just smaller. Obviously, Jim and I have a very large conflict of interest in recommending this investment given the opportunity to earn referral fees. I am investing $50,000 of my own money into the fund as a show of faith and to have some real skin in the game. Full disclosure, probably not the ideal post to “sponsor” but since we don’t know the topics in advance, this is the hand I was dealt. I agree with Steven though, we would not touch these private real estate funds with our clients (and safe to say our compliance team would thank us). There are many other options for clients in regards to “safer” real estate plays. With that said, I still think it was a good topic to cover because many of the readers of WCI are DIY’ers and venture out on their own. So by Jim walking through the details, it will provide greater transparency for those DIY’ers who may like this idea. 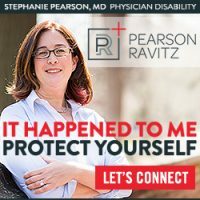 If the only topics ever covered on this podcast were those which the sponsors selected, it would mostly alternate between disability insurance, how to pick a financial planner, disability insurance, doctor mortgages, and disability insurance. There probably wouldn’t be very many listeners. That didn’t seem like it would help the listeners, the sponsors, or me. Plus I would have to plan podcasts out a lot further than I generally do meaning people asking questions would have to wait longer for their answers. I get it, and completely understand! That is why I came at it from both angles. I know people invest in these ventures, so having your analysis will only help. My favorite section of your podcast has always been the listener questions. Thanks, Jim! And you are correct, I would have chosen one of the topics listed (lol) or student loans. One other issue for having a stay at home spouse is the loss of more tax advantaged accounts. It is minor compared to the other reasons but having access to another 401k with or without a match can be very helpful in achieving your financial independence. This is less tax-efficient than an equity investment. 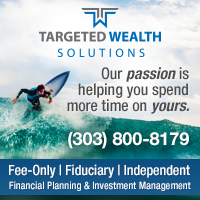 Hard money lending is one of the least tax efficient investments out there. I would expect all of your return to be taxed at ordinary income tax rates. 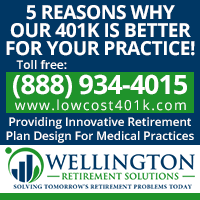 It could be put in an IRA or a self-directed 401(k), but there would be some additional hassle there. I have not yet put any real estate funds into retirement accounts aside from the Vanguard REIT Index Fund. Do you have to be an accredited investor for this new Cityvest deal? 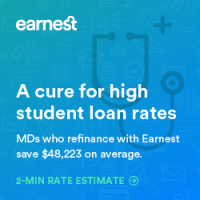 I’m a PGY-1 so clearly I am not, but I do not have student loans and have about double the minimum (while still contributing to a 403b and Roth) sitting in a savings account right now. Yes. You will be required to verify via W-2 or 1040 if using income to qualify as accredited. With due respect to Dr. Podnos, he seems to know very little about RE investments other than public market REITs and directly-owned asset investing. And I agree with WCI and FoF about the conflict of interest. With a windfall payment last year from a practice asset sale, I discussed passive RE investing with my then-AUM-advisor (now gone…) with fees similar to Dr. Podnos’. He, as expected, was only advising me to put the money in my account with him, and not do any RE investing for passive income, or pay off a modest mortgage. 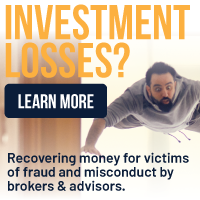 The fact that Dr. Podnos lumps all private RE investing – whether hard money lending, asset funds like MLG, NNN private REITs like Broadstone, or the occasional single crowdfunded deal into one bad asset class to avoid for fear of volatility or fraud, shows his unfamiliarity with these investments. There are many ways to conservatively pick apart the pros and cons of each fund or asset, and respected sites with thousands of RE investors who do just that. Lastly, public market REITs have their own set of issues, like the “liquidity premium” and volatility, being much more correlated to the stock market than private or direct RE options. 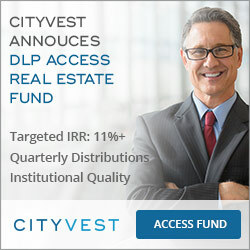 Do you know why the dividends are paid quarterly when invest via CityVest, but monthly from DLP? Also, the maximum LTV the fund allows per loan? I think to reduce the hassle/cost of distributions. Loan to value (“LTV”) will not exceed 65% of the after repair value. Would I have to file separate tax returns in the states in which this fund is investing? No, I’m told they will be takin care of that. Jim – I am a long time reader and admirer. So please take this as constructive criticism. 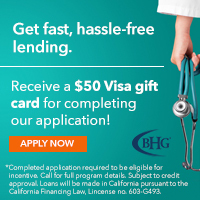 This investment opportunity seems to be pitched and I think you should disclose whether you are getting paid for your referrals. Up to you if you share the terms. Frankly it has all the bad hallmarks – high speculative returns, assurances of collateral and risk mitigation, special access if you use my deal, and of course, iron-clad fees. There is nothing wrong with being paid to help generate a market but the more transparent the better. IF YOU INVEST THROUGH THESE LINKS I GET PAID. A LOT. Many of them are serious, like the one associated with this particular CityVest deal. But they are disclosed and very transparent. Every. single. time. 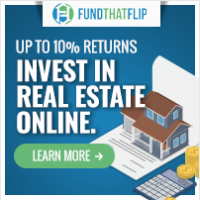 I have been investing in crowdfunding real estate for over a year now. 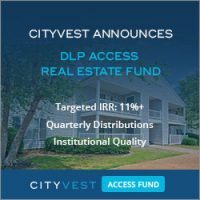 This DLP fund seems interesting, but I’m not sure I’m understanding the full upside of this fund with returns after fees of 10% or so. The fees and risk seem high. Especially compared to the crowdfunding I’ve done with Fundrise. Fundrise is very transparent with relatively low fees. I’ve enjoyed a return after fees of 12% over the last year or so. 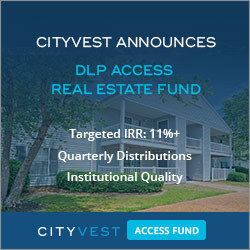 I’m willing to invest, but can you help me ununderstand the advantage of the DLP fund over a fund like Fundrise? I agree the fees increase after you get the preferred return at 10%. Not sure which investment you’re talking about at Fundrise, but as I look at their three eREITS I see that they project returns of 8.6-10.5%. I’m not sure what their past performance (or obviously yours) has been but if they don’t think they’re going to make 12%, I’m not sure why you do. Anyone else have a hard time reaching these people? I asked what I thought to be a fairly simple question (which state(s) would I receive K-1 forms for) and no response 2 weeks later. It definitely gives me pause to think of entrusting them when they cant respond to simple emails. Sounds like the email slipped through the cracks. I’ll CC Alan and you on an email and get you in touch. Alan responded two minutes after I emailed you both and included the email he sent you two weeks ago (March 1, 2019 12:41 PM). Maybe it went to your junk mail? Did you get the new email? Nice podcast! I would like to hear a companion podcast on real estate equity funds, as opposed to debt funds. Thought it was going that direction at the half-way mark. 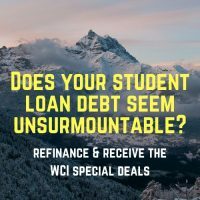 I agree with WCI that real estate is 100% optional. There is a lot to like about commercial real estate: potentially higher, non-correlated returns and tax benefits (on the equity side, at least). However, the waters of private investments are choppy. Due diligence & personal interest are both essential before taking the plunge into this asset class.